Diamonds, opals and gold- these are perhaps the most common types of precious stones out there. But did you know that there is a special type of precious stone that makes even more elegant jewellery? I want to introduce you all to a stone called Larimar, which in my opinion makes for even better jewellery than most precious stones because of it's gorgeous colour. Larimar also makes lovely jewellery pieces since the blue is so unique. Larimar jewelry is offered to the public in the Dominican Republic, and elsewhere in the Caribbean as a local speciality. 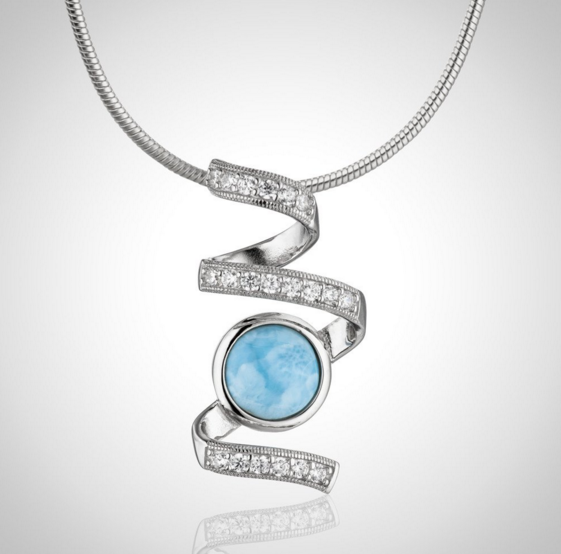 Most jewelry produced is set in silver, but sometimes high-grade larimar is also set in gold. 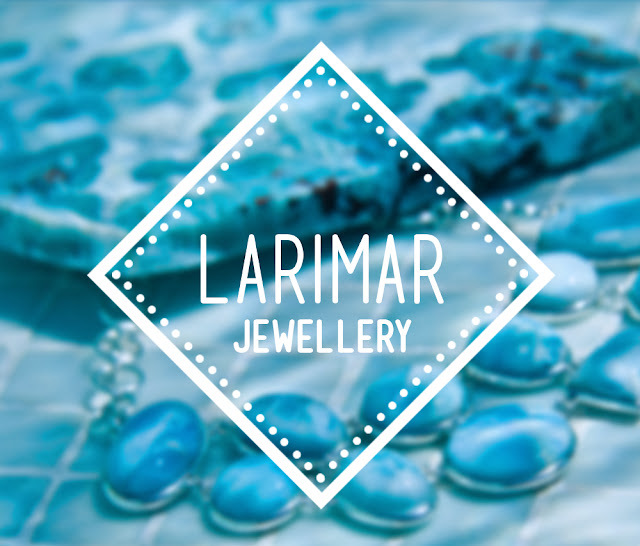 For instance check out a shop called Larimar (https://larimar.com) which sells a whole range of beautiful Larimar-crafted jewellery pieces. Some of my favourite pieces from their collection include their earrings and necklaces. The blue colour is simply dazzling - it's sort of light blue with a cloudy interior, giving off a mysterious vibe. I decided to order a pendant from the Larimar shop since I wanted to see if the real thing was anything like the pictures. I mean- I love blue coloured items and clothing, so I was dying to try out their Larimar Bliss pendants as it would go well with pretty much any outfit. It's on the mid-range in terms of price, but this is because Larimar is a high-grade quality stone. It's not just any cheap stone indeed. I particularly liked the Larimar Dangled Shine Pendant so I decided to order it. The package came within two weeks since it was shipped from the USA. It arrived in a lovely little purple pouch, and inside it was my lovely pendant. I'm happy to say that it looked even better than the pictures. 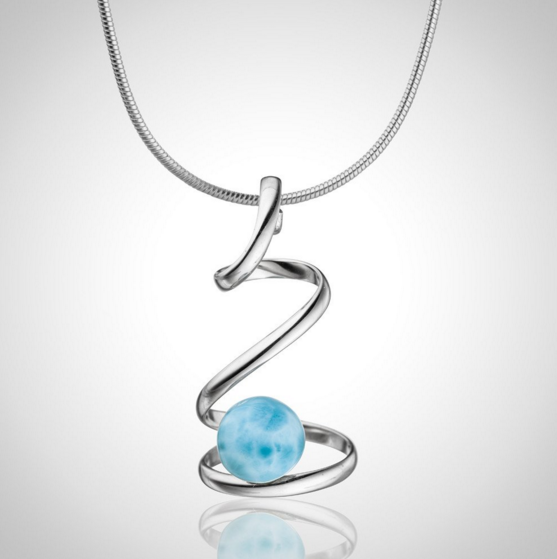 In person, the blue Larimar stone looks even more bright and alluring. It felt lovely to hold in my hands. Their jewellery usually comes with a pure sterling silver chain so everything can be worn immediately. There is no need to go out and buy your own chain at an extra cost. Overall, I'm very pleased with my order. I'm definitely wearing this to my next formal dinner party, and I'm sure I'll get lots of compliments! What do you think of Larimar jewellery?